Squarespace is a web-based tool that allows non-technical people to create and manage professional-looking websites quickly, without needing to write any code. It empowers business owners to take total control of their own websites, without needing to pay someone to design or maintain it. 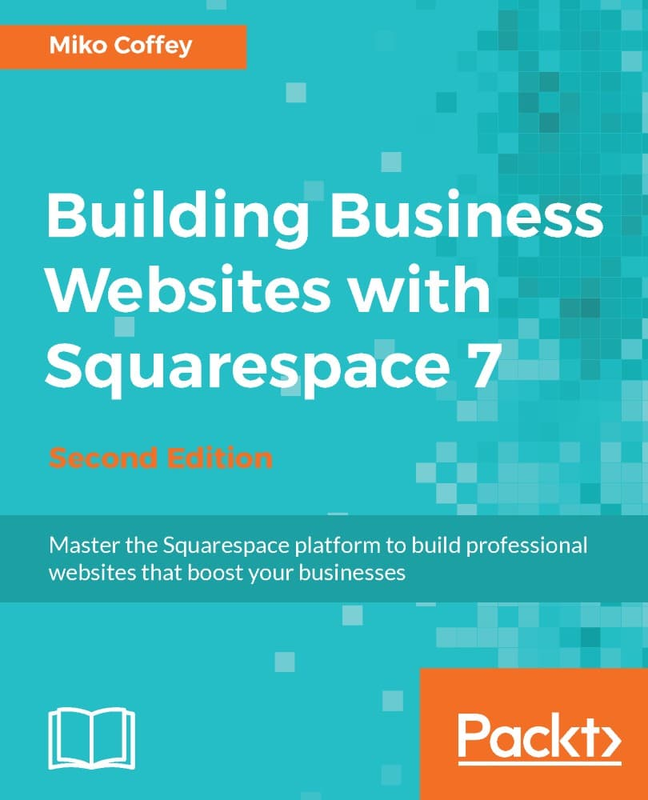 This book covers much more than just how to use Squarespace. It covers all aspects of creating a successful business website, from developing your brand identity, to writing and structuring content to match your target audience’s needs, and dozens of other other valuable tips that will help your website shine. Most importantly, you’ll learn the correct steps to follow in order to ensure your project is smooth and stress-free. The book starts by helping you plan your website project and gather all the raw materials you’ll need. Next, you’ll set up your account and become familiar with the terminology and tools that you’ll be using. Once you’ve learned the basics of how the Squarespace interface, templates, and different page types operate, you will create the framework of your website, ready for you to insert content and functionality. Then, once all the core elements are in place, you’ll apply the aesthetic fine-tuning needed to bring your website in line with your brand. After the aesthetics have been honed and all functions tested, you will launch your website and drive traffic to it, monitor it, and improve it.